Serve this over brown or white rice or with some simple noodles or even fried rice! I promise to get some noodles and rice recipes coming in the next week to pair with these asian-inspired dishes! Add all ingredients EXCEPT chicken into slow cooker. Whisk and make sure all ingredients are well-incorporated. Now add chicken pieces and cover with lid. Cook on low for 6-8 hours or on the high setting for 3-5 hours. Taste seasoning and add salt and pepper, per your taste. Garnish with optional toppings! 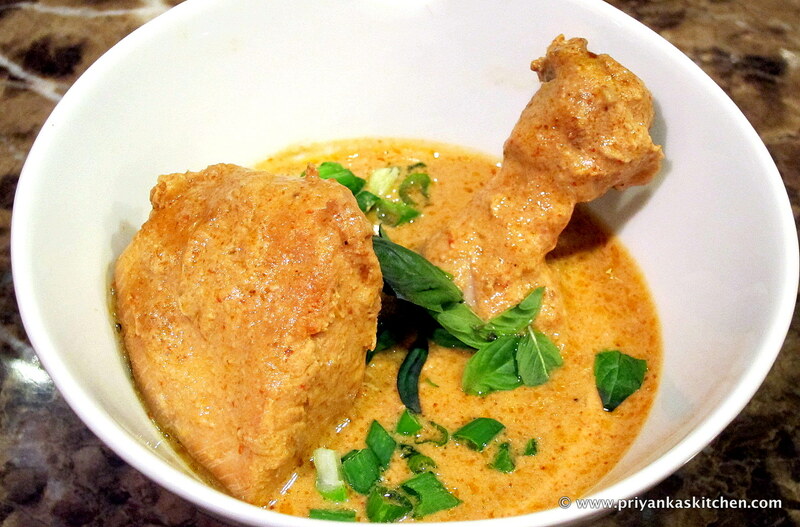 Wine pairing: A sweet Riesling would be a perfect accompaniment to this spicy curry dish! – I really like the one I’ve linked to with spicy dishes and it’s very affordable and easily available too.